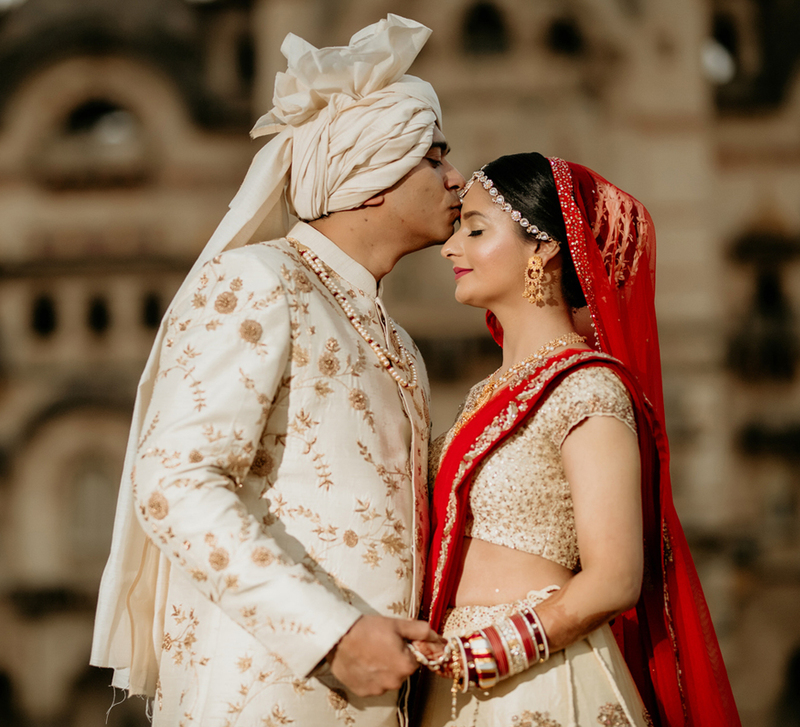 This Grand Lucknow Wedding Is All Things Luxury and Love! 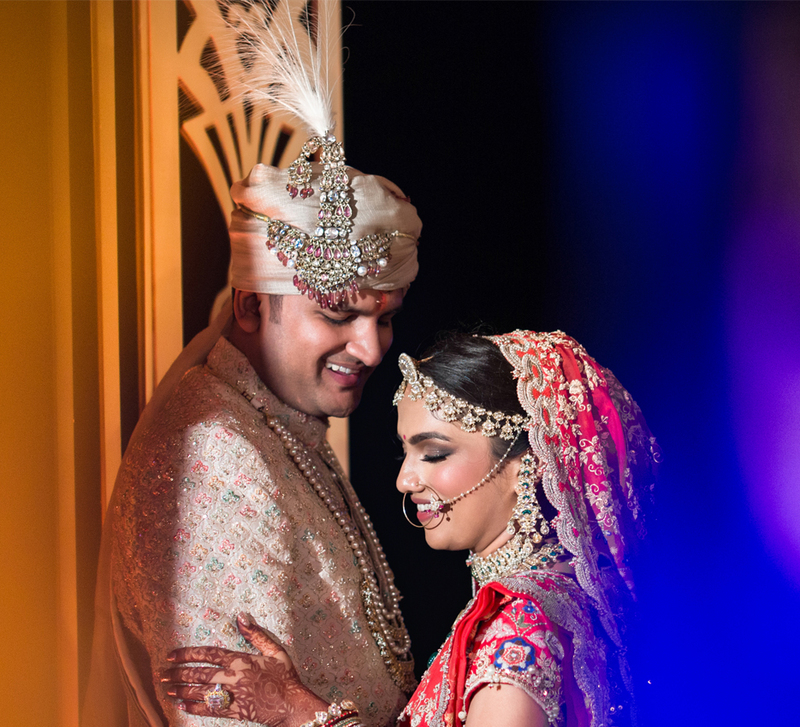 Tanya and Vivek’s wedding struck the perfect balance of whimsy, elegance and joy. These college sweethearts fell in love over conversations on the phone and texts long before they even met. Despite their long-distance courtship, they were there to celebrate important occasions together and they finally decided that they wanted to celebrate every day henceforward by their soulmate’s side. 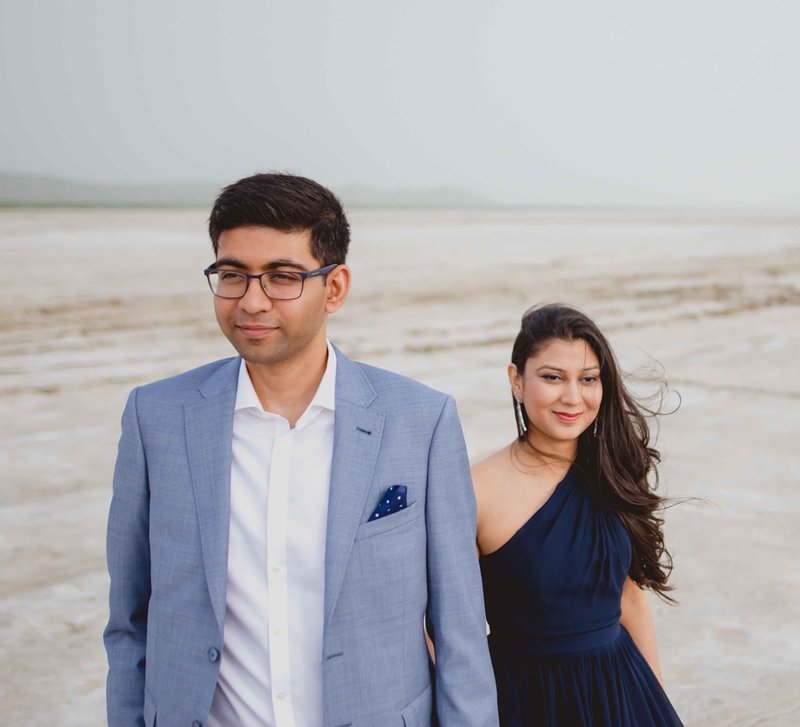 Soon after, Vivek found a job in the same city as Tanya and on the eighth anniversary of their relationship, he popped the question to his ladylove. Their grand wedding sealed the bond between the two and dissolved the distance that had kept them apart. WeddingSutra Favorite - We Don’t Say Cheese made sure they captured the ceremonies and celebrations in the most beautiful way to keep their memories perfect for posterity. They say happy brides are the prettiest and these photos of Tanya prove just that. The bride is radiant in the love and blessings showered on her by her family and friends. There is no prettier twirl than a girl in a whirl of love. Tanya knows how to work that swag and sophistication! One part elegance, two parts drama - this dulhan sure knows how to have fun. The groom caught stealing a kiss from his beautiful bride! 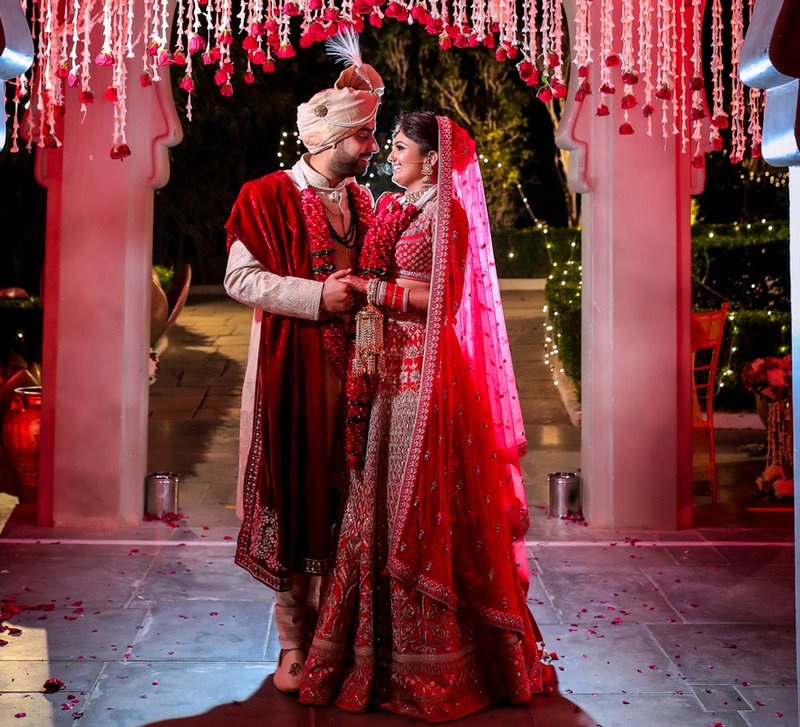 The blush of her bridal lehenga adds to charm of this bride’s enchanting look. Girls just wanna have fun, don’t they? The décor’s whimsical vibe left all the guests at the #lightsTVaction wedding spellbound! The dashing groom, Vivek made a dhamakedaar entry to reverberating dhol sounds! The stunning bride, Tanya walked towards the mandap under a phoolon ki chadar held by her brothers. The mesmerized guests couldn’t take their eyes off her! Tanya and Vivek couldn’t stop smiling as they made promises that last a lifetime. Love is about being goofy together, isn’t it? Don’t they look just perfect walking towards their forevermore with blessings, love and laughter?